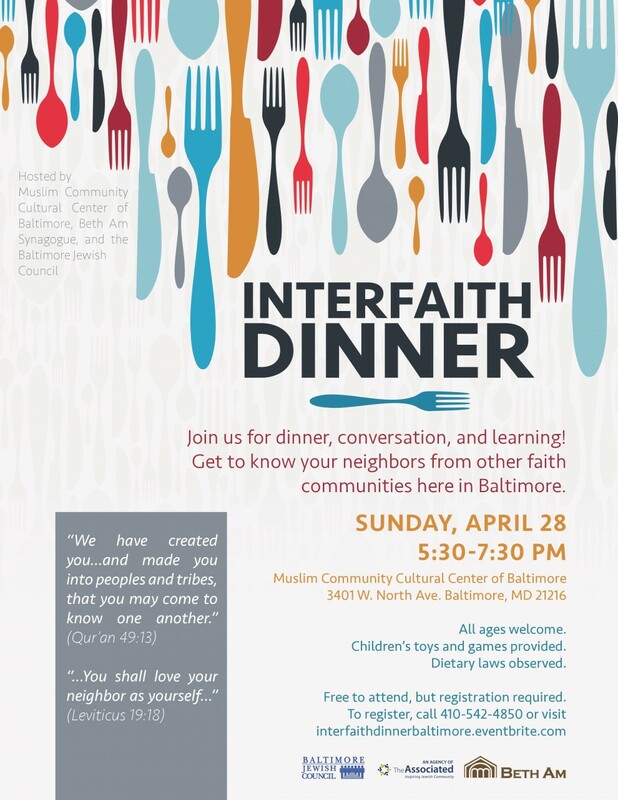 Join Muslim Community Cultural Center of Baltimore, Beth Am Synagogue, and the Baltimore Jewish Council for dinner, conversation, and learning! Get to know your neighbors from other faith communities here in Baltimore. All ages welcome. Children's toys and games provided. Dietary laws observed.